Question 6: Who will our competitors be in the new market? Why do customers buy from these market players? And above all, what do we need to do to make them buy from us? In the sixth part of our market assessment series, we’ll discuss one of the most crucial aspects of entering any market – the competition. 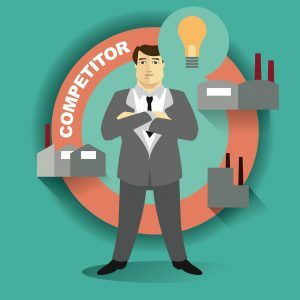 Who will your company, your products and services be competing against? You should also know why people are buying from these market players. And of course, you must find out what it is you need to do to make them buy from you and drive customer satisfaction. Being aware of who you are competing against for clients is important for evaluating your opportunities in the new market and your chances of success. You need to understand your competitors’ value propositions. Only then you will be able to evaluate the biggest competitive threats and define the available market and your next course of action. Rebecca O. Bagley, CEO of NorTech writes on Forbes that a company entering a new market should start its market assessment by taking a broad inventory of the competitive landscape, pinpoint chief competitors and identify its clients. This action should be followed by mapping the competition’s value propositions across three main dimensions namely cost, service and technology. The insights gained by this activity will simply be invaluable. 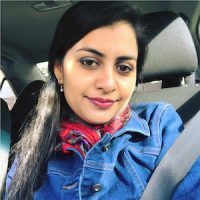 The idea is to come up with your own highly unique value proposition, one that is ideally tailored to fit the needs of your target market. A couple of good examples are Apple and Dell in the personal computer market, and Audi and Kia in the automobile market. They’re competing in the same industry while carrying quite distinctive value propositions. Conducting effective voice of the customer interviews should be part of your research so you can validate your proposition in the new market. Keep in mind that above all, you need to ask (and answer) the question “What do we need to do to make them buy from us, instead of the competition?” If your company finds the answer, your company finds success in the new market. The proposition should be one that the competition doesn’t or can’t offer. The proposition should be made to the client in every ad your company does. The proposition should be strong enough to pull new clients to your services. Effective market assessment will always lead to the shaping (or reshaping) of such a USP. 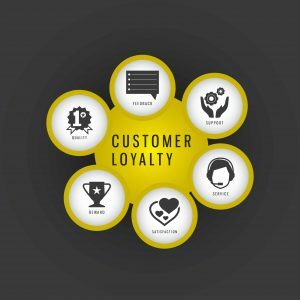 As a company grows, it can sometimes lose sight of some pretty basic aspects of understanding its customers and building customer loyalty. A company may have been more connected to its clients starting out than after 15 or 20 years of operation. Inc writer Caitlin Berens shares some wonderful insights on how to make your target market buy from you. Your company will benefit greatly by exploring such content as you gear up to enter a new market.